Whether you’re a kid or an adult, vegetables are just more fun to eat when they’re shaped like pasta. 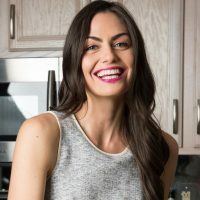 If you have a picky eater, or just want to jazz up your own dinner, try making zucchini pasta (or any veggie pasta, for that matter) with a spiralizer. 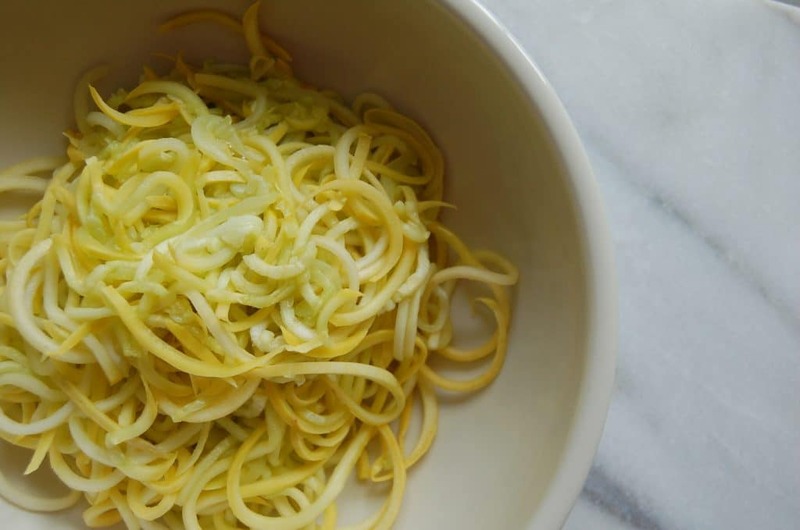 A spiralizer is an inexpensive kitchen gadget, that turns just about anything into pasta-like noodles. It may be the best $30 bucks you’ll spend. A while back I had written about my love for spiralized sweet potato, which has become a staple in my house. Yellow zucchini makes a particularly great pasta substitute because it’s a similar color as traditional pasta. Pasta made from vegetables offers so much more than regular pasta. It’s naturally gluten free, and high in fiber, vitamins, minerals, and antioxidants. 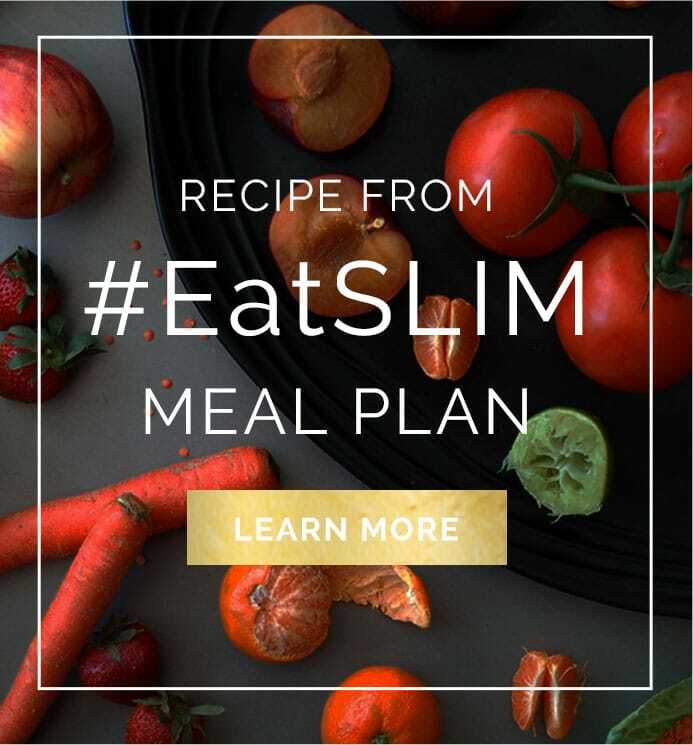 And, because it contains all these wonderful benefits, you’re much less likely to overeat it, so no need to worry about needing to unbutton the pants after this meal. 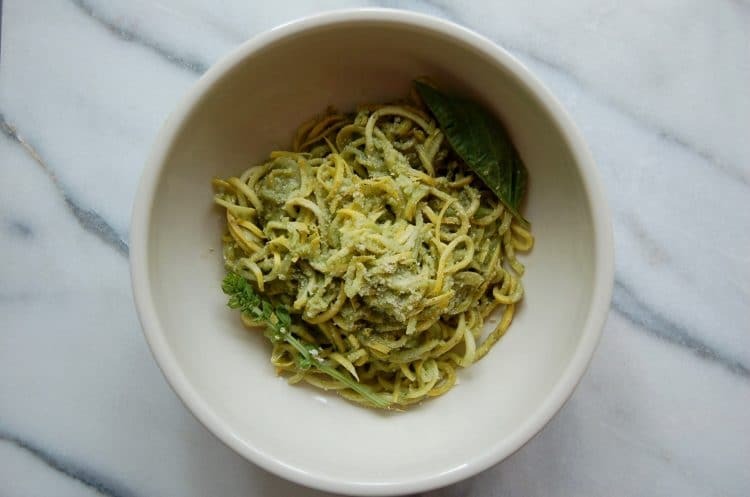 Below is the basic zucchini pasta recipe, which you can use with any sauce you like, such as tomato sauce, but I’m partial to this Basil Cashew Pesto. Slice off both ends of each zucchini, and then slice in half crosswise to spiralize. After you've spiralized them, heat a pan over medium heat, and dry saute the noodles for about 5 minutes, until soft. Some of their water will release, so drain them into a colander, and use paper towels to blot dry if you like. Put zucchini noodles into a bowl, top with cashew basil pesto, and if you wish, a pinch of almond flour and salt to give it a cheesy look and texture. Estimate about 1.5-2 zucchini per person. Wow, me and my wife actually tried this, is freaking awesome! Just wanted to say thank you for posting it!